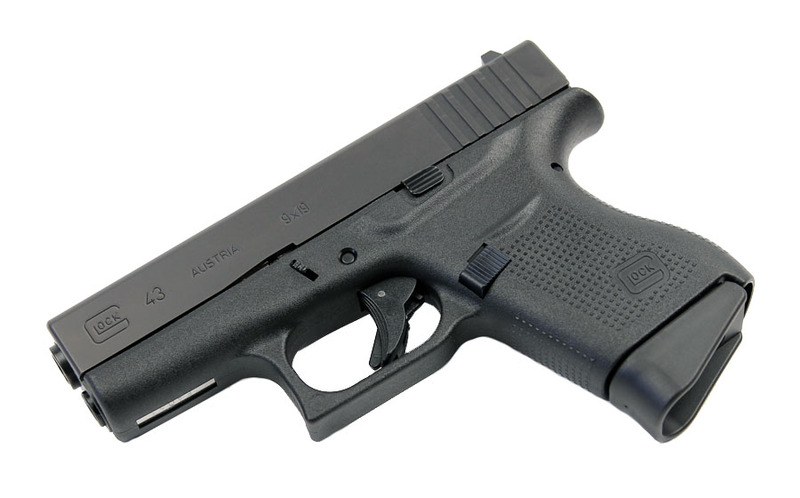 The long awaited single stack 9mm, the Glock 43 was designed to meet everyday concealed carry needs. The Glock 43 is ultra-slim, compact, and the perfect size for concealment, yet still remaining controllable. Features a built in extended beavertail to allow the shooter to maintain a solid, high grip, aggressively textured grip for a secure hold in any conditions, large magazine release for easy activation, and dual recoil spring for enhanced recoil dampening characteristics. Comes with one 6RD flush fit and one 6RD extended magazine.